Responding to society's social and economic needs has motivated many cities to invest in smart products and services, coupled with the new digital era. An identity trait that crystallized the concept of Smart Cities. After years of research and speculation, the widespread production of electric vehicles (EV) and hybrid electric vehicles (PHEVs) is now a reality. Most leading car manufacturers, along with dozens of new electric vehicle manufacturers, are producing vehicles that are partially or totally powered by rechargeable batteries.
" 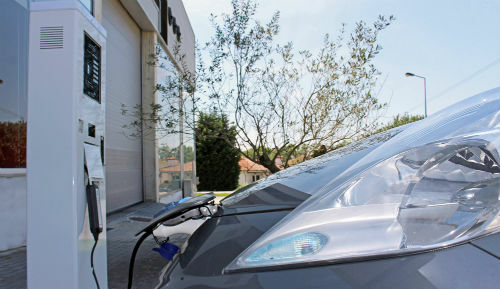 With the EV market flourishing, consumers need a convenient, reliable and easily accessible way to charge their electric vehicle away from home. " The PARTTEAM group knows this need and has developed innovative urban solutions, in an integrated way, with a view to structuring and implementing intelligent services that contribute to Smart Cities. As manufacturers of interactive kiosks and digital mupis, PARTTEAM developed a project entitled WATTDREAM and created the stations / stations WATTPLACE – Power to Change the World. The stations can be installed indoors or outdoors and with an interactive touch screen, which features software with different functionalities: charging through direct payment (coin changers, note readers, credit card); Customer accounts; Balance history / uploads; Possibility of insertion of several vehicles per customer, among others. The strength of the green movement, volatile oil prices and the need to reduce dependence on foreign oil have created the ideal environment for the success of the electric vehicle and for these stations, which, while providing the electric charging service, also transmit Information and services such as Wayfinding , promotion of local events and businesses. 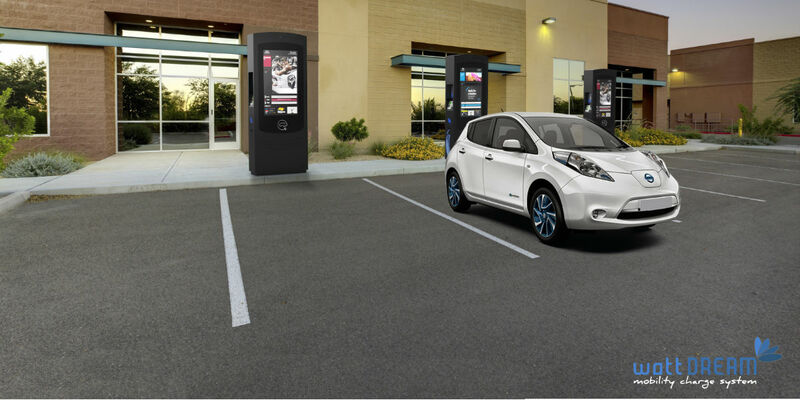 In addition to these functionalities, it is possible to integrate and associate to these electric charging stations, digital mupis that can stand side by side, as supports of dynamic communication, allowing a more visual and interactive contact. The mission of the PARTTEAM group is also oriented towards the adoption and enhancement of social responsibility practices. We are glad and enthusiastic that a green and ecological trend continues to grow and we can contribute to this growth through our products and solutions.